"Sampath Speaking" - the thoughts of an Insurer from Thiruvallikkeni: LPG gas ~ the master stroke that removed spurious uses .. ..
LPG gas ~ the master stroke that removed spurious uses .. .. When will I get the refill ? Come elections, truth is the worst casualty ~ often it is price rise, spiralling inflation would be the platforms against the Govt – however, in this Lok Sabha elections 2019, no opposition party is harping on price rise ! – we have earlier heard voices that LPG has shot up above Rs.1000/- , beyond the reach of common man – far from truth ! (also trying to hide the fact of subsidy hitting bank accounts) ~ before we proceed do you know who was the first Chairman of Indian Oil Corporation ? – how was he selected ? Our taste buds want quality good food served hot but many may not know the gas connection at home, how much does a cylinder cost and how it gets refilled ??? With a 33,000-plus work-force, extensive refining, distribution & marketing infrastructure and advanced R&D facilities, lndianOil plays a significant role in fuelling the socio-economic development of the country. With a turnover of Rs. 5,06,428 crore and a net profit of Rs. 21,346 crore in 2017-18, and a market capitalisation of 1,71,511 crore, lndianOil is recognised as one of India's most valuable companies . Not many of today’s youngsters would know the ordeals that the earlier generation had in cooking. Even in cities there were only stoves (kerosene stoves). In villages, it was mostly by wood fired ovens. Imagine the plight of those who had to stand near the hot oven for preparation of food. Worst was the plight in lighting a stove again and again – there existed pump stoves and wick stoves. A gas stove is common in most households [there are some who have only induction and electric ones besides the microwave ovens] The gas stove uses LPG – liquefied petroleum gas, which is mostly a mixture of propane and butane. Propane is a three-carbon alkane, normally a gas, but compressible to a transportable liquid. It may also contain small amounts of propylene and/or butylene. An odorant such as ethanethiol or thiophene is added so that people can easily smell the gas in case of a leak. Brazil’s state-run oil company Petroleo Brasileiro SA said it had kicked off a second attempt to sell its liquefied petroleum gas (LPG) distribution unit and restricted local rivals in a potential deal to avoid blocking by antitrust authorities. Petrobras said in a filing it had begun the sale process for Liquigas Distribuidora SA. In February, Reuters reported that Petrobras had hired the investment banking unit of Banco Santander Brasil SA to revive the sale. Petrobras’ management has made asset sales the core element of its bid to pay down debt and re-focus on exploration and production. Next week, the company is due to receive final bids for its TAG pipeline unit, which is expected to fetch several billions dollars. Petrobras had agreed in 2016 to sell Liquigas Distribuidora to local rival Ultrapar Participacoes SA in a 2.8 billion-real ($720 million) deal, that was later blocked by Brazil’s antitrust watchdog Cade in February 2018. Petrobras restricted the participation of rivals with more than 10 percent of market share in the Brazilian LPG distribution market, according to documents filed on Friday. Companies in such conditions may only participate in a consortium, and may not individually have a stake higher than 40 percent of the unit revenue. Back home, things are far different – we buy gas cylinders from Indane, Bharat Gas. 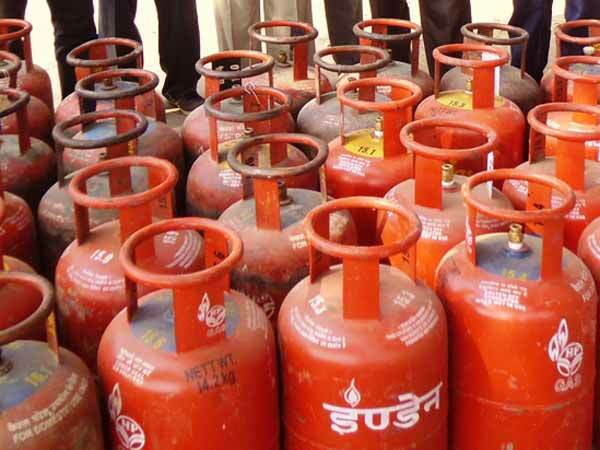 The gas cylinders available for domestic use generally are of 14.2 kg capacity; 5 kg variant is also available in some places. The commercial ones also come in 19 kgs and 47.5 kgs. The gas that we use at home LPG has an explosive range of 1.8% to 9.5% volume of gas in air. This is considerably narrower than other common gaseous fuels. The auto-ignition temperature of LPG is around 410-580 deg. C and hence it will not ignite on its own at normal temperature. LPG has only a very faint smell, and consequently, it is necessary to add some odourant, so that any escaping gas can easily be detected. LPG is colourless both in liquid and vapour phase. During leakage the vapourisation of liquid cools the atmosphere and condenses the water vapour contained in them to form a whitish fog which may make it possible to see an escape of LPG. LPG even though slightly toxic, is not poisonous in vapour phase, but can, however, suffocate when in large concentrations due to the fact that it displaces oxygen. In view of this the vapour posses mild anaesthetic properties. Though there are Bharat Gas and others, Indane is perhaps the largest brand in India. It is the product of Indian Oil Corporation, a State owned gas company headquartered in Mumbai. It began operations in 1964. Indian Oil began operation in 1964 as Indian Oil Company Ltd. The Indian Oil Corporation was formed in 1964, with the merger of Indian Refineries Ltd. Depending on the usage in a household, the 14.2 kg cylinder might last for a month or less. A couple of decades ago, getting a refill was difficult ordeal, especially for office goers. The cylinder is often supplied by an Agency which acts as a retail outlet and had to be booked in person. A telephone no. would exist but would be next to impossible to reach people on that line. If you are lucky, the person may not answer and if by chance you get through, there is no guarantee that your cylinder has been booked as there would be no confirmation process. And days after, you might have to redo the entire process afresh. A visit in person is often considered the right measure to book a cylinder. There had been complaints of malpractices of cylinders booked in one name being to supplied to some others as also complaints of domestic cylinders being used for commercial purposes. There was always lurking fear that the cylinder supplied had already been in use for a day or two in a hotel or other place ! ~ the process was cumbersome and wrought with difficulties. Things are far different now – hassle-free. Currently, the LPC prices are reviewed by retailers on a monthly basis based on International Crude oil and Rupee-dollar foreign exchange rates. Now, Consumers buy the cylinders at market rates, Govt subsidises 12 cylinders of 14.2 kg each per household in an year. The amount of subsidy gets directly credited to Consumer’s bank account. When was the last time, you walked in or waited at an Agency ~ now customers can book for a refill through : • SMS • Online Mode • IVRS • Mobile App for Android & iPhones. IVRS has an option for three languages and they are 1. Local Language 2. English 3. Hindi The user can choose the language as per their requirements by pressing either 1, 2 or 3 option. Further, the IVRS will ask the customer to enter the telephone number of the distributor with which the customer has registered for securing LPG cylinder along with the STD code. Now people sit back relaxed ~ book cylinders with phone – get intimated of bill generation, delivery and other details – no malpractice – what more, get subsidy also – when our PM asked us to forego the subsidy, lakhs did – me also gave up subsidy at the first instance. To me, what he has brought in LPG is a silent revolution .. .. Hail our PM Modiji. To the Q at the start on First Chairman of Indian Oil Corporation – it was Feroze Gandhi [1912-1960]. He published the National Herald and ‘the Nanjivan’ newspapers from Lucknow. In 1942 he married Indira Priyadarshini [daughter of Jawaharlal Nehru], subsequently became a member of the Lok Sabha. His father in law, Wife and son were Prime Ministers of India, and would anyone tell how did he become the Chairman of Indian Oil Corporation ?